Children make good progress from their starting points. Children are developing good communication and language skills. 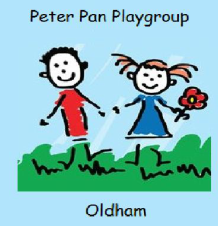 Peter Pan is a community pre-school and playgroup providing the highest quality care and education for local children aged two to five years. The group is a registered charity. We aim to offer a safe, supportive, vibrant and stimulating environment in which children can play, explore, talk, learn and have fun together. We are located within Stoneleigh Academy with whom we share strong links. This helps many of the children who attend our pre-school to make an easy transition to Stoneleigh Academy’s Nursery and reception class when it’s time for them to move on. We also have strong links to Mayfield Primary school as we offer wrap around care too. We offer a choice of session times throughout the week during school term-time including the option of full days. With small group sizes and well-qualified, experienced and skilled staff we work in partnership with parents to meet the individual needs of the children in our care. We are registered with Ofsted and are proud to have been judged as GOOD when we were inspected in February 2015.